If Detective Superintendent Dalziel is unimpressed by the literary phone calls, he's downright angry when Sergeant Wield calls in a clairvoyant. Linguists, psychiatrists, mediums, it's all a load of nonsense as far as he's concerned. But meanwhile the Choker strikes again and again and again. Why aren't all Audiobooks as classy as this? Wonderful writing, but above all, a five star interpretation by Colin Buchanan. If only some of the dreary, story wrecking narrators would listen to this guy. He is equally as good on all of the other Reginald Hill books in the catalogue. Hill delivers another good crime story with his crusty Dalzell and plodding Pascoe. Colin Buchanan should read all of Hill's work because he is simply the 'voice' of Hill for me. And the acerbic wit of Dalzell makes me laugh out loud at times. An enjoyable listen! I had trouble with some of the accents in this book so I know that I missed some of the clues. However, I could not stop listening. In the end, I had to say that I enjoyed this book and definitely plan to read or listen to another one. I am sure I have read a more boring book, I just can;t remember when. A plot that shambles along, a story that seems to go on and pointlessly on. To me finishing this book was a real challenge. bought on the excellance of THE WOODCUTTER I will not be buying Pascoe and Dalziel any time in the near future. I was immediately engrossed by the story but could not finish this book due to the readers bizarre delivery. Be sure to listen to a sample before downloading this one. 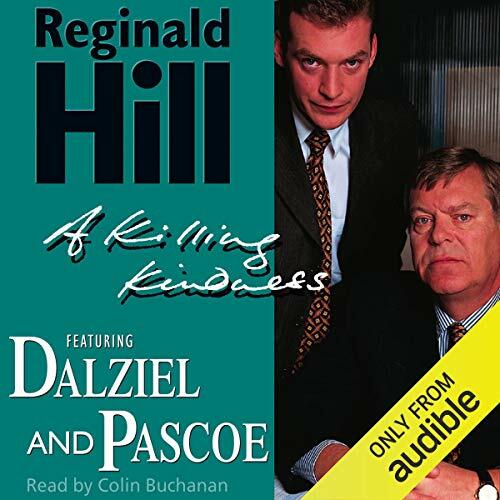 I have loved all of the Reginald Hill books that I have listened to and so selected this one without checking the reader. I wish Audible would reissue this with another reader.